Tattoos, tattoos, tattoos. These days, nobody seems to be getting enough of them. 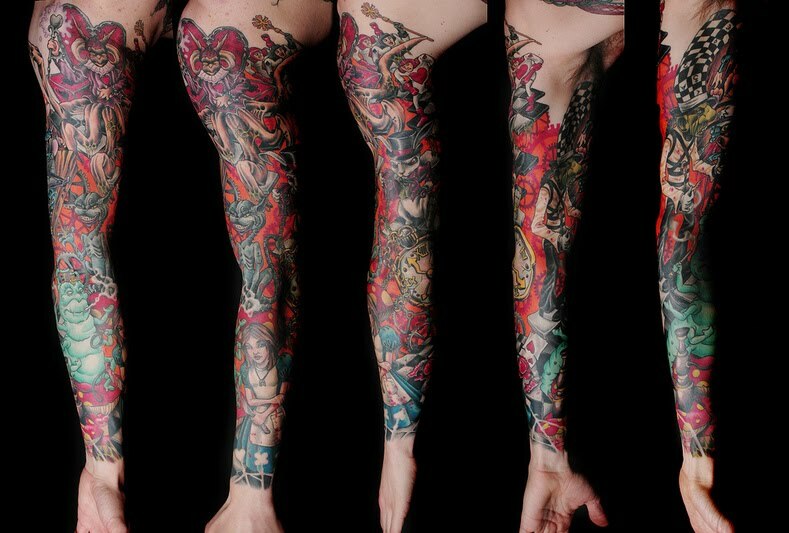 By general observation, it’s safe to say that one of the most commonly tattooed body parts is the arm. If you read our previous article on tattoo sleeves, you probably already have a list about tattoos in general and some ideas about the different kinds of tattoos as well. 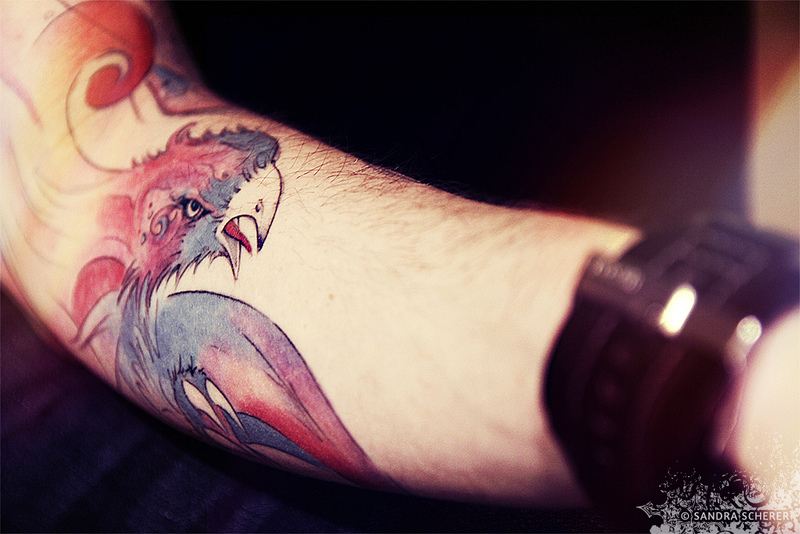 In this post here though, we’re focusing on arm tattoos in their entirety. Arm tattoos? What’s so interesting about that? Well, although arm tattoos may seem like a stereotype to most people, very few actually really go about exploring their options and making sure their tattoo doesn’t end up looking like just another punk image statement. There’s actually a whole world of graphic imprints out there that could make your arm, ‘the most tattooed body part’, look like a splendid work of art. That’s right, we are going to be looking at designs that stem away from your usual tribal designs and tormented stamps of skulls, roses and crucifixes. Instead, we are going to look at tattoos as designed by modern day illustrators concocting cool illustrations to make that arm look spanking new and unique. We have all seen our gothic friends with bleeding hearts on their forearms or those biker boy rebels with some skulls and naked women on their biceps, but what really makes the art of tattooing different and fun from various other creative disciplines is the freedom to express any kind of statement, belief or emotion, personal or impersonal, in any visual format on any part of your body, giving yourself visual voise in physical form for probably as long as you’ll live. That tells you two very important things: first, make sure you pick the most unique and personal to your character work of art out there (and the best tattoo artist) for yourself, and two, because you’ll probably have to live with it for the rest of your life, make sure you follow the first rule! 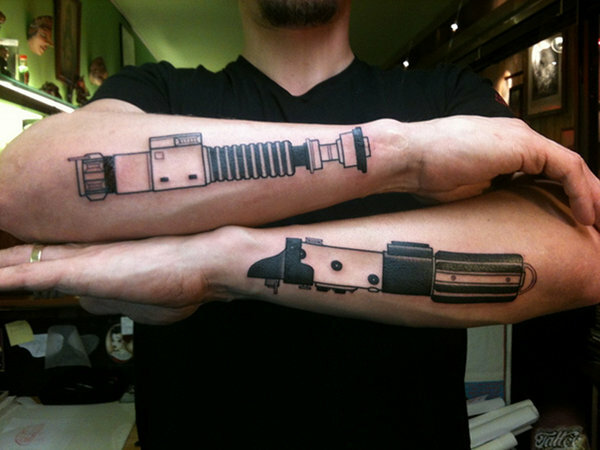 Below is a collection of some fun, artistic and generally more modern designs than the designs that typically pop in to one’s mind when thinking about arm tattoos. Whether you’re looking to get a tattoo yourself or just browsing for fun, these ideas for designs based on unique illustrations covering everything from Super Mario, Star Wars, masquerade themes to experimental doodling, just go to prove that tattoo art truly has no bounds.